Claytons on Cylinder Beach Front Accommodation are one of North Stradbroke Island's most sought after holiday rentals. The complex consists of 10 individually owned three and four bedroom apartments, complete with lock up garage. Direct beach access via a private, landscaped sand track and magnificent north facing ocean views make Claytons on Cylinder a fantastic holiday rental option. 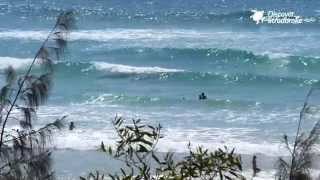 It is only a short stroll to the Straddie Pub, convenience store and Post Office. 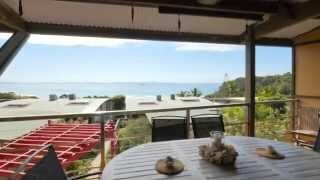 Claytons on Cylinder are Straddie's premium holiday rental apartment and also feature Foxtel IQ and free Wi-Fi. Claytons on Cylinder is one of Straddie's most popular holiday rental destinations. Come and see why! This room sleeps up to six people, and has magnificent ocean views from a large under cover entertaining area. Includes Foxtel and free wi-fi. This room sleeps up to eight people, and has magnificent ocean views from a large under cover entertaining area. Includes Foxtel and free wi-fi.